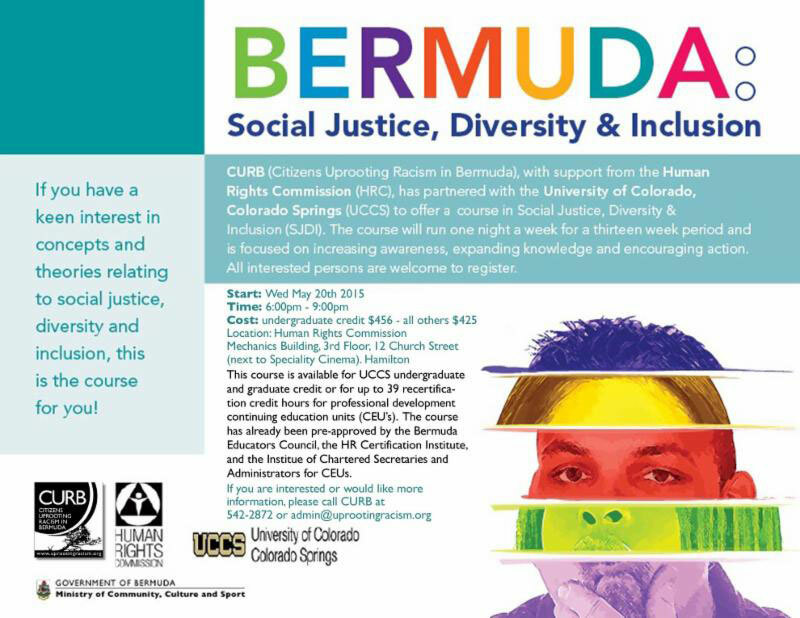 Citizens Uprooting Racism in Bermuda [CURB], with support from the Human Rights Commission [HRC], has partnered with the University of Colorado, Colorado Springs [UCCS] to offer a course in Social Justice, Diversity & Inclusion [SJDI] starting in May. The event flyer said, “The course will run one night a week for a thirteen week period and is focused on increasing awareness, expanding knowledge and encouraging action. All interested persons are welcome to register.